Last week, a U.S. federal court judge threw out a suit against Colorado Secretary of State Scott Gessler and three county clerks seeking to stop the printing of barcodes on ballot for this November’s election. 1. Why do election officials currently collect the data at issue here (ballot style, precinct, voting method, etc.) – that is, what value does it add to their election administration processes? 2. Is such data valuable enough that it justifies continuing to shield individual ballots from scrutiny under the court order and pending regulations? 3. If not, how can/should election clerks change their ballot processing and data collection regimes to allow for transparency of ballots without compromising ballot secrecy or the need for efficient and effective election administration? The answer to the first question – why collect the data? – appears to be that election officials want the ability to troubleshoot the process if problems occur. It’s hard to answer the second question given that it involves an assessment of value, but clerks have felt strongly enough about the barcodes that they have vigorously fought any restrictions in court and in the Legislature. Boulder County’s ballots have three sets of numbers and bar codes — one that identifies the election, one that identifies the precinct and ballot content (which jurisdictions and ballot questions the voter is voting on) and one that identifies the ballot. Until recently, every Boulder County ballot had a unique number that distinguished it from every other ballot. That number made it easy for election workers to retrieve a specific ballot if it wouldn’t scan properly or had over- or undervotes that needed to be assessed manually. However, election integrity activists contended that through comparisons with voter rolls, those unique numbers could reveal how individual people voted. 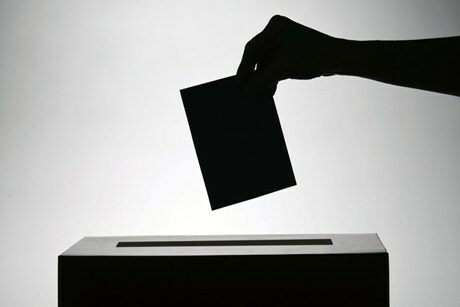 In an attempt to resolve the issue, Colorado Secretary of State Scott Gessler issued an emergency ruling earlier this year that prohibited any identifying markings on ballots. Because Hall wanted to keep numbers on the ballots to facilitate finding problems during counting, she proposed to repeat each ballot number across precincts and ballot styles so that the number would no longer be unique. The Secretary of State’s Office accepted this solution, at least for the November election, but activists still had concerns that the ballots could be identified. Those concerns prompted the latest federal lawsuit, where activists sought to have a federal court block use of the barcodes under a federal claim of ballot secrecy. Before attorneys for [plaintiffs] could make their case Friday, Arguello grilled them on where in federal case law she might find a federal right to have a ballot be completely anonymous. While Colorado law says that ballots cannot have any identifying marks on them, Arguello said she hadn’t seen evidence the federal court actually had jurisdiction over the case. Arguello said a voter making a free choice not to vote because of concerns about ballot integrity was not the same as the government preventing someone from voting. In her ruling, Arguello said the fact that there is a state law forbidding election workers from revealing votes indicates that lawmakers never intended to make ballots absolutely anonymous, even to elections workers. She indicated she did not believe the practices of the various Colorado county clerks violated even state law. Regardless, there was no federal jurisdiction because no fundamental rights were being violated. Arguello said federal judges need to be very careful about establishing new fundamental rights, and she did not believe that [this] case rose to that level. It remains to be seen if plaintiffs will appeal the federal ruling or try to stop the barcodes in state court – but for the time being it would appear that barcodes will continue to appear on Colorado ballots this fall. It’s also a useful reminder that litigation to address election policy disputes never comes with a guarantee of success. 1 Comment on "Colorado Case Tests Legal Limits of Ballot Secrecy"
The decision to stop bar code labels to be printed for the ballots was a decision well taken.